Abigail Otwell: Behind every great man, there's a great woman? Matt Stauffer: There's a something woman. Matt Stauffer: I feel like it's something that's funnier, or stronger, or more -- whatever, but this is true here as well. I would say, and I'm interested to hear how Abigail feels about this and how Taylor feels about this, but it is very likely that without the support of Abigail Otwell, who I have here today, there would be no Laravel because I know that we're going to learn more today about what that story looks like. Obviously, you wouldn't say that because you're humble and all those things, but I think that's very likely the case. The goal today is to learn about Miss Abigail Otwell. Can you say "Hi" to the people, and for those who don't know you tell -- I ask this to everybody, tell us a little bit about yourself and who you are and then, we'll get digging into the backstory. Matt Stauffer: Yes. [laughs] That's awesome. Matt Stauffer: I like it. You just gave us the broad overview and we're going to spend the next 45 minutes digging in deep into that. Matt Stauffer: If you meet somebody at the store today, that's not the story you give them. You meet somebody at the store and they say, "Hey. Oh, you've got these young kids, but what do you do?" How do you answer that question for people? Abigail Otwell: That's kind of tough for me because I feel like some people, when I say -- I feel like I'd say, "I'm just a stay-at-home mom," or whatever, but it's a big job. Matt Stauffer: There's no "just" on that one. Matt Stauffer: That was actually going to be my next question about sewing because I know that, at one point, that was kind of -- You would be sewing on the couch and he'd be coding the couch, you guys have mentioned that issue before. When you were sewing -- I don't know anything about custom sewing, were you using, in design and development terms, were you the designer and the developer, or were you using somebody else's designs and you were mainly just doing implementation? Abigail Otwell: Well, some of both. The first time I took orders, I was actually using a pattern I had made up myself by just sketching from a dress that I had and I took like 36 orders for that dress. That was part of being burned out, I think, because it was one design and there was 30-some of the same fabric, so yes, that was a lot. But that's really a lot of -- When he was coding and I was sewing was because I had so many orders to finish. But for the most part, I used patterns as a framework, so to speak. Abigail Otwell: [laughs] And I just kind of throw the directions out in certain parts of the pattern and then I just go from there. I almost never stick completely to a pattern. Matt Stauffer: So there's a little bit of everything. You are using tools or frameworks to help you get started, but then there's a creative aspect, but there's also a production aspect. It's when you spend too much time in production, like you mentioned, 32 orders, that it just like, "Do I really want to keep doing this?" Abigail Otwell: Right, yes, it does get to be a lot. Matt Stauffer: Have you ever done any boys' clothes or it's been all dresses and bell bottoms and stuff? Abigail Otwell: [laughs] I did some -- Well, I've done some -- a few things for James. I made him a Prince Charming costume when we went to Walt Disney World. Abigail Otwell: He still hates that costume. Matt Stauffer: Right, especially now because it's all just basically Under Armour everything. Matt Stauffer: Just match your colors. Abigail Otwell: -all the Under Armour and Nike you can imagine, so yes. Matt Stauffer: Yes. Okay, so we'll go more there in a bit, but I want to get into the backstory a bit. I tell everybody this, but you are in control of where we go and don't go. Matt Stauffer: I'm just going to ask some questions. You moved around a lot when you were a kid. First question I always ask people in that context is, military? Abigail Otwell: No, we just moved around a lot. I'm trying to think, I think the longest I ever lived in one place growing up was four years. Matt Stauffer: I was just going to ask, what sort of impact do you think moving around so much made on you long term? Do you feel like you have a sense of that? Abigail Otwell: Yes. I was just talking to Taylor about this the other day, actually. I feel like it's hard if you don't live in the same place you grew up in. I was homeschooled, so I didn't go to school. I didn't go to college, so I feel like there's a lot of friendships that you make, lasting friendships that you tend to make. Like old friends that you can't really force once you're an adult. I feel like I don't have that because we did move around so much. I'm 22 hours from where I grew up, so it's not like -- Even the people I did know there, it's hard to keep in contact and keep real close when you're so far away. Matt Stauffer: Yes. You would say, "Oh, I go back home and see the people I went to middle school with. I go back home and see the people I went to high school with." None of that being around you. Abigail Otwell: It's extremely difficult. Matt Stauffer: Yes, it's a lot of work. Matt Stauffer: You need friends, yes. Matt Stauffer: All right. You were just shy of 18 and you met the strapping young gentleman, [laughs] who has brought this conversation together. What were your first impressions of young Taylor? Matt Stauffer: How techy are you? No, first of all, how techy were you then, and how techy are you now? Abigail Otwell: Oh my gosh, yes. Matt Stauffer: One of the first questions I always ask everybody is, what was your first access to computers? I'm going to ask you too. When was the first time you had access to a computer? Abigail Otwell: Yes, we got our first computer when I was 12, and that's back when there was dial-up and somebody picked up the phone and ruined your internet connection. My mom was really big into selling stuff on eBay back then, so I would often do all the posting for her. We used PayPal too back then, which was also pretty rough. Abigail Otwell: I remember I learned all the HTML for the eBay listings. Matt Stauffer: Wait, how old were you at this point? Abigail Otwell: [laughs] It really didn't go much further than that, but I learned how to make different sized fonts, different color fonts, spacing. Because you had to do all that manually back then on eBay. Matt Stauffer: In eBay, yes. Matt Stauffer: You were using the color property, it was before CSS probably. Matt Stauffer: All right. Okay. While your family didn't have a lot of computers and stuff around, you did have a computer, you were writing HTML, you were selling stuff with PayPal on eBay. For the average 12-year-old home-schooler back in the '90s or whatever, you were pretty technically savvy. Abigail Otwell: Right, right, yes. Matt Stauffer: I'm guessing that that being the case, that still wasn't necessarily something that you and Taylor connected on, right? Abigail Otwell: Not really, no, not really. Matt Stauffer: When you were 12, what did you want to be when you grew up? Abigail Otwell: I really wanted to be a midwife or a doula, and I still do [laughs] actually. When I was in my teens, I read all the books to become a licensed doula or whatever. Do you know what that is? Abigail Otwell: Right, [laughs] you're a dad. Matt Stauffer: -that's our role, but can you explain for everybody what a doula is? Abigail Otwell: A doula is somebody that's there to support a mom during labor. She's really the person that comes for mom. She helps with relaxation and pressure points, just to be there and be reassuring. Basically, she's just there for the mom. That could be at home, that could be at a birth center, could be at a hospital. Matt Stauffer: I've always thought of the doula as basically the number one advocate for the mom, especially when the mom doesn't have a partner or the partner is not necessarily knowing what to do. I think of doulas as they know the things a mom's going to need to care about, they know the problems that they're going to run into, and they are likely the interference between mom and potential difficulty, right? Abigail Otwell: Yes, I agree. I feel like a lot of times, the poor dad's lost as to what to do and there's some things that only a woman can help you with when you're in labor, that men don't really know how to do. Yes, that's what I've always wanted to be since I was seven. Yes, maybe one day, when the kids are grown or whatever. The schedule would be just hard because there's no scheduling when you go into labor, so I could be gone all night, all day, so I think it'll be better to pursue that when the kids are a little bit bigger. Matt Stauffer: Yes. One of my questions I was going to ask is, let's say the kids are 16 or 18 or whatever, what would be your next thing? That's what you're thinking. You've got to be able to, say, get a phone call and be somewhere else with 30 minutes notice and be there for as long as it takes, for 20 hours or whatever. Yes, that's tough. Abigail Otwell: Yes, it is tough. I had a doula with my first and, bless her heart, she was there for 20 hours I think. [laughs] That's a long time. Matt Stauffer: My sister-in-law's a birth photographer, so she has a similar schedule and she's got kids around your kids' age, but the difference is the photographer doesn't have to be there the whole 20 hours. Now, they do need to be there when the baby comes out, but there's a little bit more flexibility, but even so, the only way she can do it is with a large, large, large support system of people who can jump in. Multiple grandparents ready to take a kid at the drop of the hat, and my brother has a flexible schedule, so it's a lot. I definitely hear you there. Abigail Otwell: I've actually thought about doing a birth photographer instead because I also love photography and it's actually something I'm pursuing. I'm taking a class in a few weeks, just to learn more about how to use a camera and stuff, so I have thought about that because I just love birth and being there, but that would be a little bit less time and less hands-on, so I don't know. Matt Stauffer: Okay. Well if you do do that, I'll introduce you to someone. Matt Stauffer: Cool. All right, so you were 12, you were doing HTML, eBay, home-schooled, met him at age 17, you guys moved pretty quickly and so, you're in Oklahoma, you are a newly married couple. I assume that he was working at that first job out of college at that point or still in college, so what was life like? What were you interested in? You weren't becoming a doula, at least right then, so what did it feel like for you at that point? Abigail Otwell: Well, let me think. I met him as soon as he graduated college because that's when he moved to a town close to ours. Matt Stauffer: Got it, okay. Abigail Otwell: -and toddlers anymore. Matt Stauffer: Just so if anybody else is -- Well, people are listening to this. The amount of work that a stay-at-home parent has to do is just unbelievable. It's something where the question of "What do you do all day?" Well, sometimes that can be a non-malicious question to ask, but sometimes it's not. Regardless of whether or not it's a malicious question, if you find yourself in the circumstance where you have kids and you've never been a stay-at-home parent, just take a week off of work and send your spouse off on a vacation to just see what it's like. Because I 've done it, and it is like -- Thankfully, my wife is very good at communicating to me the cost that it is on her, so I didn't have to do it to at least get that it's an idea. Having done it, I'm like, "This is non-stop work, non-stop exhaustion, non-stop energy. This is not just like, "Oh, yeah, I sit around and twiddle my thumbs." Have you noticed that children actually need taking care of? Matt Stauffer: Usually, when you're a stay at home parent, you're also responsible for taking care of the house, right? Matt Stauffer: Right, exactly. I'm basically a cleaning person, I am a chef, I am a childcare person. I am all of these things all together at once. I want to affirm that that's a crazy amount of work, and even thinking anything about being an actual just human being in the midst of that can be pretty nuts. Abigail Otwell: Yes. It's kind of overwhelming, really. When you're just in the throes of it, like you still are, it's just, especially for her, I feel bad for her. It's really hard to be with your kids all day, with no other human interaction really. Looking back, I'm like, "Wow, that is really difficult." In the midst of it, you're just so tired, you can't really think straight, but once you come out of it, it's like, "Wow, yeah, that's really difficult." Having little kids is very, very difficult. Matt Stauffer: Yes. One of the things that we noticed was that it's probably a lot more difficult now than it used to be, when you had family living all around you and everyone was really close. One of the things we did to make up for the fact that our family all lives many hours away, was move to a neighborhood with tiny little yards, where everybody is really tight and close together, so that you get some of that kind of communal aspect, and that's helped us a little bit. Abigail Otwell: Yes. I remember many mornings just thinking, "Oh, I would just give anything to have a mom or somebody come and sit with my kids for two hours, so I could sleep." [laughter] Just sleep, I don't care if she does nothing else, just keep the kids from killing each other, and let me get some sleep. Matt Stauffer: Right. If they're alive and not screaming when I wake up, I'm good. Right, okay. That was a pretty significant period of your life. That was probably six, seven years before you're really to the point where she was three years old, four years old, and you're out of it now. You've talked about, you did some sewing and it turns out you can burn out on that a little bit. You also were thinking about ten years down the road, 15 years down the road, or whatever it ended up being, where you're in a place where you're considering maybe being a doula or something else like that. What is it that you do day-to-day right now that gives you the most joy? Abigail Otwell: Well, I'll just tell you our daily schedule. It's pretty much the same every day. The alarm goes off at 6:30 and we set the alarm in the kids' room to keep them in bed till 6:30. It's like the opposite. Matt Stauffer: [laughs] It's the opposite, right. Abigail Otwell: It's the opposite. As soon as that alarm goes off, it's like elephants upstairs, just like “Shh”, just running as fast I can downstairs. They like to get up early. Then, get them ready, give them breakfast, get them ready for school, drop them off. Then I go, I normally go to the gym just about every day, straight from dropping them off. I work out and then I come home and shower. Sometimes, Taylor and I will go eat lunch together, and that's nice to be able to do that, to be able to just chat and see each other. Then, we go get the kids at 3:00, and they're home, and fix dinner. On Tuesdays, my daughter has dance and my son has basketball, so he'll take him to basketball practice and I'll take her to dance. We really like having our family time at night and I don't want to give that up. Anything that's going to take us away from the house for more than two nights a week, I'm not going to do it. It's not worth it, no. I just like having that time and they're so exhausted from being at school all day. School is really tough, especially now, it's just there's so much. Matt Stauffer: In what ways do you think your life is different, with Taylor running Laravel, versus if he had a normal 9-to-5? Abigail Otwell: Let me think. When he had a normal job, I felt a lot more alone. Of course, I had a little kid, but I don't know, just waiting for him to get home was my day, basically. I really like being able to go and travel more, that's really -- I love to travel. I think it's because we never did as a family at home, so it's something I really, really, really want to do with my kids, and they really love it and look forward to it. I don't know, when you're away from home and the kids are not infants, it's just like you can really cut loose and just -- there's not really any responsibilities, it's less stressful. You could just have fun and eat junk food and just [laughs] You know what I mean? Just really cut loose and have fun. I really enjoy that and I'm glad he can not have to just have one week a year that we have to squeeze our thing into. When the kids were little, it was nice because if one of us had a doctor's appointment, I could leave the other one with him, they could set up here in his office or whatever. That helped out a lot, not having to hold them everywhere I went throughout the day. Matt Stauffer: He went from that job, he went over to UserScape. When he was first talking about going full-time on Laravel, was that scary? What was it like for you? Abigail Otwell: It was a little scary, but he is extremely responsible, so I knew that if he felt okay with it, that it was going to be okay, probably. [laughs] And he waited until it was well-established, so it wasn't terribly scary, it was more just super exciting because when we were first married, for the first couple of years, I remember we would walk around our little duplex and we would just chat about -- have ideas and stuff that he could do to be able to work for himself, so that we could be together more. It was just like this pipe dream at that point, it was just like, "This will never happen, but it's kind of fun talking about it." He tried a few other little things before that we laugh at now because they're hilarious, but when he made Laravel, it wasn't one of those ideas that he thought would be really used, it was more like, "Hey, I don't like anything that's out there. I'm just going to build my own for me to use." Then, I remember the day he launched it and it was like, "Oh my gosh, Abigail, I've got --" I don't know, just a couple or stars or whatever one can have, and he was so excited. He was just really pumped about that and just, I don't know, just from there, we -- I remember he would get a retweet from somebody with 1,500 followers, and he'd be like, "Oh my gosh, can you imagine if one person retweets it with that many followers and then 1,500 people see it and then one of them retweets it?" It was just crazy. But yes, so when he went on his own, I felt pretty good about it. I've always told him, I said, "If all this goes away tomorrow and we're living in a cardboard box, I'll still love you. We have each other, that's what matters, so we'll figure it out." Of course, that's not going to happen because he's responsible and has everything figured out, but he was. Yes, so it's pretty cool. Matt Stauffer: You're technically not the primary entrepreneur, you're not the name who's behind the framework, you didn't code it. Someone could just say, "Hey, it's Taylor's idea and what you did was give him breathing room to do it." But I don't think that would be a full description of the situation. As an entrepreneur with an incredibly supportive spouse, who's a business partner with another entrepreneur who has a very supportive spouse, I'm very aware of how much our spouses are a part of the work we're doing, even if their fingers might not be in everything. Are there any aspects of what it feels like to not just be a supportive spouse, but to be a co-entrepreneur that you could talk a little bit about? I know that's a little bit of a vague question, but do you have any sense of the ways in which you see yourself being a part of Laravel, versus just watching Taylor do it? Abigail Otwell: Yes. Ever since I was little, I've been an entrepreneur. I love talking about small business ideas, I have had many little businesses over the years, ever since I was pretty little of my own, so I really love talking about the subject, whether it pertains to me or to somebody else. I love hearing other people's ideas, and dreaming about stuff. I often ask him -- I can't give away any secrets, so I've got to be careful here, but [laughs] I'll often ask him, "How's such and such coming?" I try to keep up and keep interested because I am interested. Even though I can't use it or whatever, I still am interested in the process and how it's coming. Abigail Otwell: Yes. I'm like, "I can't code it, but would this work?" He's like, "Oh, yes." Yes, that's kind of fun. Matt Stauffer: Are you familiar with the phrase "rubber duck debugging"? Matt Stauffer: There's an idea in coding that when you're stuck or something's not working, one of the best ways to solve the problem is to talk to somebody about it, but it turns out it's not often what the other person is telling you that's helping, but just the process of talking through with someone. At Titan, we all have a little -- somebody in a book once said, "You could literally just stick a rubber duck on your desk," and so, you all who can't see, I just pulled a rubber duck off my desk. You could just sit there and talk to a rubber duck and I've realized that I use my wife as a rubber duck often, expecting that she'll just kind of smile and nod and then, like you said, she'll have really -- as a non-technical person, she'll have fantastic input about user behavior or what would look like for -- And I'm like, "I'm glad I used you instead of a rubber duck because this is way better." It sounds like you're not just rubber duck, although that is a thing, where you're really listening, but you're actively involved in some of the processes of thinking through stuff. Matt Stauffer: Sure, sure. All right, so one of the things I noticed is that you have had a little bit of social media interaction with various folks in the Twitter world and the Laravel world. You're on Twitter at times and we'll see you at conferences along with the kids, although you're usually taking care of the kids a little bit more in those contexts. What does it feel like to have a whole bunch of people interact with you and following you primarily because they're developers and just random people from countries around the world following you? Is it weird, is it kind of fun, do you have any idea what they're actually talking about? Abigail Otwell: It is a little funny because I'll tweet something and I'll be like, "Wait a minute, that was totally the wrong crowd for that." Because nobody's going to care in this crowd. But yes. Matt Stauffer: Some things go on Facebook, some things go on Twitter. Matt Stauffer: Right, yes. You're following me, then you're going to get me. Matt Stauffer: Nice. All right, so if there were a Laracon in a different country in the world that you are most interested in visiting, somebody should go spin up this Laracon just to give you the excuse to travel with Taylor, which one would it be? Matt Stauffer: What about Costa Rica? Laracon Costa Rica? Matt Stauffer: There's definitely a big group in Brazil, for sure. Abigail Otwell: Yes, for sure. Matt Stauffer: I like that. You are technical, you understand technical things, but I think that your perspective on the apps that Taylor's building and the technical stuff he's doing can often just as, A, not being the one writing the code, and B, not someone who dreams of architecture design patterns all day, I would bet it gives you a little bit of a broader perspective than some of us can have at times, when we're stuck in code. I got two questions around that. 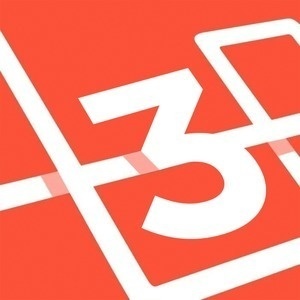 Number one, what, either, is the best thing you've seen come out of the Laravel community or the best hope you have for the Laravel community on a broader perspective? Two, do you have any worries or correctives or things you -- warnings you want to give or things you want to tell people, "Hey, make sure you stay away from it?" 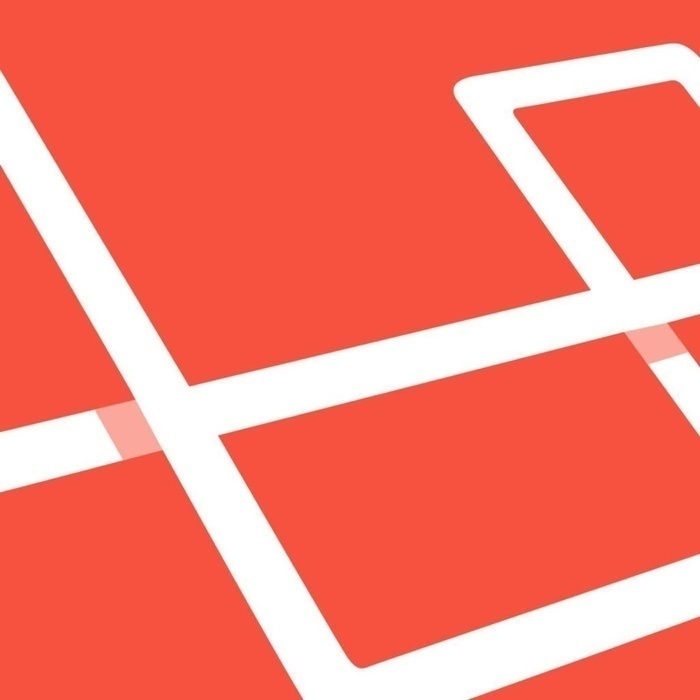 I know it's kind of broad and vague, but basically, what are your hopes and dreams or what are your fears, from a broader perspective, for Laravel, as a framework, as a community, as its possible impacts and all that kind of stuff? Abigail Otwell: One thing I was really surprised about the first time I came to Laracon, which would have been the first year, in Louisville, so it was three years ago, I guess? Matt Stauffer: I think so. Abigail Otwell: Before then, my kids were so little and dependent on me. There was no way I was going to be able to leave them and go to these conferences, even though I really, really wanted to. It was the first year, we actually all went and brought his mom to that one, but now I'm able to go. I was really pleasantly surprised by just how -- just these people, they were just so friendly, and happy, and welcoming, and just really, they were -- everyone was so excited about it. It made me really excited for the future of Laravel and just to see the culmination of all his work, because I see the grueling day-to-day stress and just hard work and extra hours. To see it like always feel using it and all these cool stories of people being able to quit their jobs and work from home with their families because of it, that, to me, was so rewarding, very, very rewarding. Even though I wasn't technical, I still felt like I made a lot of friends and still talk to a ton of people. Yes, I really love that. As far as the warnings go, I don't know. I don't know, I think it's -- I feel like the Twitter fighting has kind of died down a little bit. Matt Stauffer: Yes, it does seem like it. Abigail Otwell: I don't really go and read it that often. Matt Stauffer: Yes, or I've just muted everybody, I'm not sure which. Abigail Otwell: Yes, one of the two. I don't know, lately, I think have been going pretty well, as far as that goes and everything. Matt Stauffer: Cool. No, I like the idea that you said about -- I mean, when I was asking about the impact it's had on your life, you described a lot of impacts on quality of life for your family. When you described the impacts it's had on other people, it was a similar thing, it was quality of life, and self-determination, and family time, stuff like that, and it's cool for that. I never want to be the one who pits financial success against those sorts of things because, often, financial success gives you freedom and gives you the ability to do that. Matt Stauffer: We could have said, "Oh, you know what? The really good thing is that lots of people are making lots of money or lots of people are getting famous or rich or whatever," which are not bad things, but again, I love that one of the vibes is for people to live the life that they want to live. That's something I've heard you talk about a lot here, which I think is really cool. Abigail Otwell: Yes. That, to me, is -- I mean, that's really all there is. Family and just being able to -- I don't know. I think it's just coming from where I come from, I think it's -- that's so important to me, is just spending a lot of family time. I love that the kids can come in and see Taylor after school and -- I mean, I try to keep that at a minimum because I know he's working, but he'll often let them come in and say hi. Then, within two hours, he's downstairs for dinner. It's just really enriched our family life so much, having him home and working for himself and it's really cool to see that happen in other people's life, especially as a direct product of Laravel. I think that's really cool to me. Matt Stauffer: I love it. I think that's a good point to stop on because it makes -- it gives you all the feel [unintelligible 00:34:04] -- This has been amazing. I really appreciate you taking your time here. If people who listen to this were to take one action in their lives or in the Lavarel community or something in response to this, one thing. Some people, it's, "Hey, follow me on Twitter." Is there one thing that they did in response to hearing you talk with -- what would that one thing be? Abigail Otwell: Just enjoy each other. Just, I don't know, just try not to get bogged down in the day-to-day or the stress, the arguments. Just to really try to enjoy your family, and spend time with them and -- I don't know because, in the end, that's really all that matters, I guess. Matt Stauffer: I love it. That's great. Abigail Otwell: Well, I appreciate you asking me. Nobody has really asked me to be on these things before, so I was a little nervous. I was like, "What I'm going to say?" You're easy to talk to. Matt Stauffer: Cool. Well, Abigail, thank you so much for your time. It was a total pleasure talking to you and see you later.